Adding Transactional Archiving to your Apache Web Server. a single SiteStory Web Archive server. This document also contains a few commands to verify that the software is running as well as a few sections regarding the setup for long term archiving, which involves data distribution between SiteStory and Internet Archive (IA) Wayback archives. GNU/Linux is supported as a development and production platform for both mod_sitestory and SiteStory Web Archive. All other platforms have not been tested, but if the required software (see below) runs on your platform, then it is possible that mod_sitestory and SiteStory Web Archive will run too. mod_sitestory, the SiteStory Apache Module requires the Apache Web Server, version 2.2 or higher, to be the primary web server that is serving the content to be archived. In addition, the Apache Extension Tool (apxs) needs to be installed. The Apache website has detailed instructions on how to install both the web server and the extension tool. SiteStory Web Archive runs in Java, version 1.6 or greater (JDK 6 or greater). It runs as an application under Tomcat 6 or greater. the host name of the transactional archive. the port number of the transactional archive. the path to the put interface of the archive, since the put interface of the transactional archive is constructed as http://[archivehost]:[port]/[appname]/put . the baseURL of the Memento TimeGate service at archive. list of directories excluded from archiving (optional parameter). For example, if you want to exclude http://mycontenthost/search from archiving, specify /search as Excluded. All content of the listed directories, including their child directories, will be excluded. Setting up a SiteStory Web Archive server under Tomcat is straightforward. The server is contained in a single WAR file named 'sitestory.war'. The installation therefore only consists of editing a configuration file. You can rename the sitestory.war to your [appname].war if you want. Once you copied the WAR file into the [TOMCAT-HOME]/webapps directory, you can find the ta.properties file in the [TOMCAT-HOME]/webapps/sitestory/WEB-INF/classes directory. This is the directory for the storage of HTTP response stream files. By default Berkeley DB indexes will be created here as well unless ta.index.basedir is specified. Make sure that Tomcat has permissions to create subdirectories in this directory. The location to store Berkeley DB indexes, which contain the transaction log of every page accessed by the content Apache server. The directory to offload data in WARC format to migrate to the Wayback archive. IP address of the Apache content server, to restrict any other servers to put content to your archive. A List of IPs can be specified if needed. Class file of implementation of index store. Currently only one implementation exists based on Berkeley DB. Parameter for WarcWriter of InternetArchive. Specify how many parallel WARCWriters to run. These changes require a reboot of the Tomcat server. You can access any page of your content Apache server and look into the SiteStory Tomcat logs to check if the PUT service is working. Also, you can check that the directory structure has been created at ta.storage.basedir . 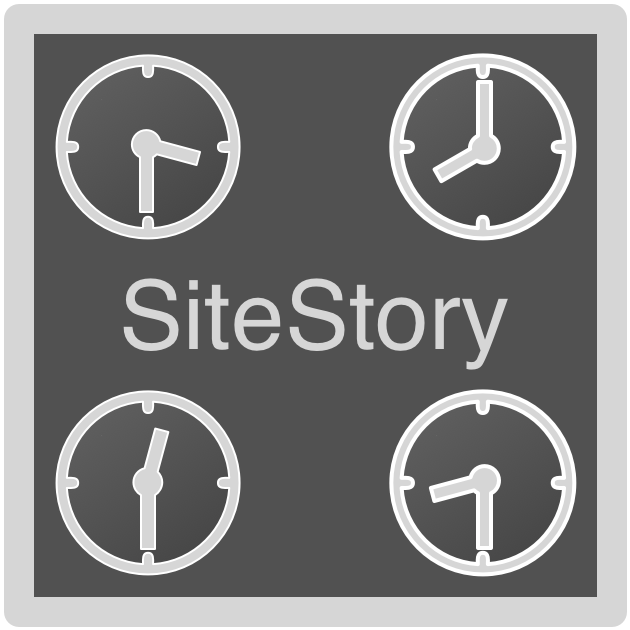 The SiteStory Web Archive provides REST - style services to access and manage content. To let Memento clients access archived content from the SiteStory Web Archive, the following services are provided. Please refer to the Memento protocol for additional information. In this URI, 20110311000508 represents the archival date/time of the resource with the URI [original_url] expressed in the form YYYYMMDDHHMMSS. The SiteStory Web Archive provides a service to offload HTTP request/response data to WARC file format. This procedure can be a long-term data managing tool to offload data to Wayback archives. The archived data before the 20120329000508 date will be recoded to the wayback files at the directory, specified by warcfiles.unload.dir in ta.properties. We decided to omit the recording of revisit (by digest) records to WARC files to avoid stress to the Wayback archive. To compensate, we added special metadata records with information on time interval where the recorded response body bitstream was the same, based on digest calculation over bitstream as well as number of page hits during that period, see a sample of WARC file here . The archived data before the 20120329000508 date will be deleted from SiteStory. The archived data with url="http://myhost/test" before the 20120329000508 date will be deleted from SiteStory. The archived data with url="http://myhost/test" will be deleted from SiteStory. Please use it with caution to avoid break of referential integrity of archive. je.log.fileMax=500000000 //You can alter size of the db file (default is 10M) to have more compact storage.